In a recent article our research team wrote about the complex work of experienced literacy teacher educators. Kosnik, C., et al. (2014). 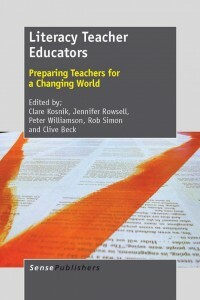 Beyond initial transition: An international examination of the complex work of experienced literacy/English teacher educators. English in Education. 48 (1). 41-62. 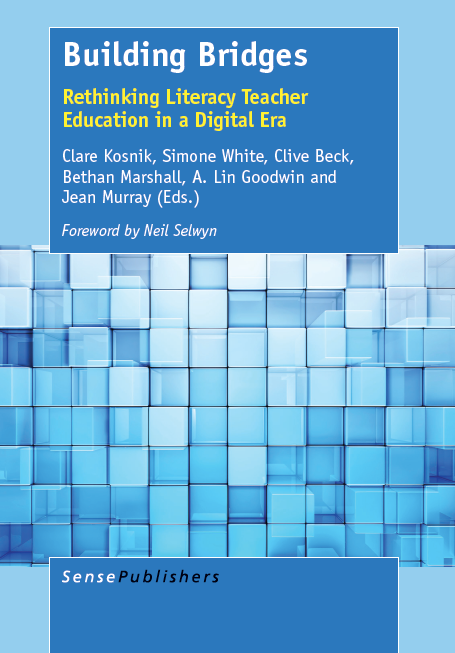 The findings show the complexity of being the “linchpins of education” where on the one hand literacy teacher educators negotiate their evolving identity as classroom teachers and on the other hand are navigating the university professorial landscape. As a teacher educator I (Yiola) can relate to the tensions expressed by our participants. To address some of the tensions I have developed a model that brings together the schools and student teachers through my university courses. 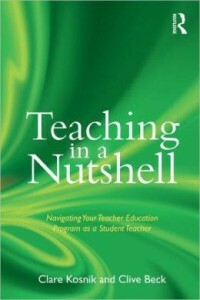 My work as the “linchpin” is to make the theoretical and scholarly connections with the student teachers. 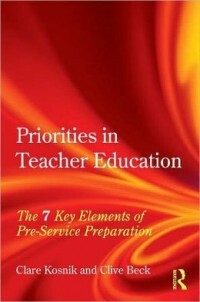 In this post I give an example of the relationship between the schools/teachers and one of my teacher education courses. I teach a curriculum course that explores the arts (Visual Arts, Music, Drama and Dance) and Health and Physical Education. In a very short period time teacher candidates are expected to have competence and confidence in teaching these subjects across the elementary grades. I have designed a course that explores the literature, both content and pedagogy, and that provides opportunities for exploration and experience. To achieve the exploration piece I have reached out to exemplary teachers in the community seeking their participation in the course. 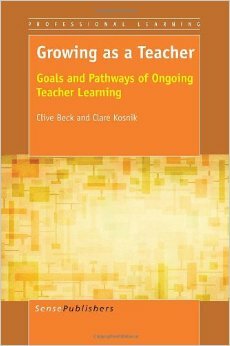 Each and every teacher I have reached out to has been keenly interested to share insights into their practice. We have gone to school gymnasiums and experienced a physical education class and also observed a teacher teach children in the gym. We have gone to a “ballet” school to learn more about movement competence and what that means, and we have visited classrooms to learn more about teaching the visual arts. Last week our class “set up shop” at the Fraser Mustard Academy for Early Learning where teacher Niki Singh shared her expertise on teaching visual arts in the early years. Student teacher begins working with one child who has an interest in string and letters. She encourages him to cut the string and create letters. After some time a crowd of curious students gather and join in the process: cutting, lines, and literacy through the exploration of the arts. Exploring materials and how they are set up and utlized by the children. Art, culture, child development and curriculum all working in harmony for the student teachers to observe. Watching children problem solve in the arts. Here two students are creating fashion designs using a variety of textiles. How to combine fabrics? How to make them fit? Examining documentation and understanding how assessment in the visual arts can take shape was another area explored. In the picture above we see children’s work along with their talk about the art, capturing their understandings. There is mutual benefit to the student teachers and the school community when the university comes together. Teachers are able to share their knowledge and student teachers are able to gain understandings outside of their practicum obligations. I end this blog with an observation so inspirational that it cannot be felt through a text or screen but that can only be understood when seen in the context of the school. Niki, the visual arts teacher brought nature, the outdoors, into her classroom when she gathered fallen branches in the community into the school. The children created a “Rainbow Forest” where they wove colourful wool around the branches and sculpted a beautiful forest inside their school. We were able to see the children’s artwork and the language around the artwork. Children talked about diversity and how difference stands united. Here we see the commitment to diversity and inclusion. The student teachers enjoyed the experience. I see their engagement by the ways they are involved, the questions the ask, the thoughtfulness and effort placed on connecting scholarship to the experience. The teachers have often shared that they feel re-inspired after listening to and sharing with the student teachers. The relationship between schools and the university is beneficial and is one way I am able to reconcile some of the tensions I feel as a teacher educator.